Mr. Shah received his undergraduate degree from the University of California, Los Angeles (UCLA). Mr. Shah received his Doctorate of Jurisprudence (J.D.) from the University of Southern California (USC), Gould School of Law. At USC, Mr. Shah served as the Content Editor for the Review of Law and Social Justice. He also served as an Editor of theHarbard Journal of Law and Public Policy, Symposium Edition, which combined the efforts of students from 18 law schools nationwide. A founder of the Asian Pacific American Lawyers of the Inland Empire (APALIE), Mr. Shah currently serves APALIE as its President Elect. He is also a member of the South Asian Bar Association of Southern California, where he has previously served as Technology Chair. Mr. Shah previously served on the Conference Committee of the North American South Asian Bar Association National Convention, where he coordinated the panel on Religious Accommodations and Regulations by the Government, and where he also served as Co-Chair of the Judicial Luncheon Committee. 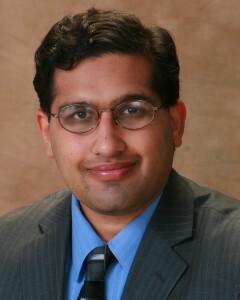 Mr. Shah is a Member of the Los Angeles County Bar Association and Orange County Bar Association. Mr. Shah serves The Law Offices of Kermit D. Marsh in the fields of Business Litigation, Real Estate Law, and Commercial Landlord-Tenant Law.